Get 30 Days For $30 Now! Heated Vinyasa, Hot Yoga, Fitness. 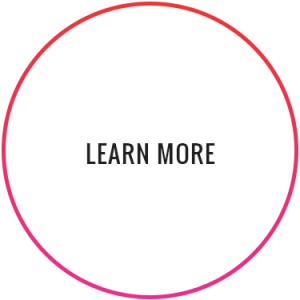 With options for beginner yogis to advanced practitioners, our classes are designed to improve your skill sets and challenge you along the way. We want our students to achieve a greater sense of presence or the “flow state”. Through our Philosophy and Science our students will reduce stress, build strength, and increase flexibility. Through breath, strength, and sweat, you will achieve the yoga experience you have been searching for. We offer podBASICS to build intentional foundation, podFLOW 1 to progress on your vinyasa path, and podFLOW 2 to increase challenge. Our podHOT class is guaranteed to deliver a detoxifying sweat and leave you feeling refreshed and renewed. podFIT, taught to the beat and focused on strength, cardiovascular health and endurance training will set you up for success in your continued practice. Yin yoga is a lovely way to unwind your mind and melt away the stress from your days. We are passionate about growing the yoga community in Gainesville, and we can’t wait to welcome you to your mat! At Yoga Pod, we commit to help you build your physical skills, challenge your limits, and achieve a greater sense of presence. 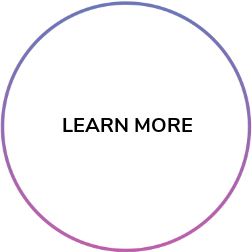 We root our philosophy in our mission, vision, values, and intention. We offer a physically challenging, yet sustainable, practice and utilize the science of flow states to achieve heightened levels of focus and attention. All Yoga Pod classes are suitable for all levels, from beginner to advanced, and will guide you to a greater state of health, well-being, and connection. Each class will help you increase your body awareness, flexibility, and strength, while you also decrease stress and provide a platform for personal growth. 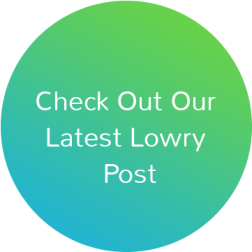 We strive to do more than just yoga at Yoga Pod Lowry. We are committed to making you stronger, more flexible, and challenge you in your practice. However, our number one intention is to help you make a commitment to being happy. We do this with our classes, which will help you meet your fitness goals. Welcome to a community of yogis who practice at all different levels. At Yoga Pod Lowry, we strive to live by Breath. Strength. Sweat. By setting these intentions at the beginning of your practice, you’ll flow your breath to your movement, commit to your strength, and purify your mind and body. We strive to lead our practice with three intentions: stress management, flexibility, and healthy living. By focusing on these three intentions in each of our classes, you’ll be able to feel more comfortable in your practice and make it stronger. Our Lowry location welcomes any type of yogi who wants to create a practice that will leave them feeling rejuvenated and healthy. From the novice to the advanced yogi, you’ll find a class for every type of practice. Yoga Pod Lowry is more than a yoga studio, we are a community of individuals who want to strengthen the body and the mind through our practice. Our yoga studio offers some versatile yoga classes you won’t be able to find anywhere else. We have our more traditional yoga classes such as a vinyasa flow and a yin yoga class. 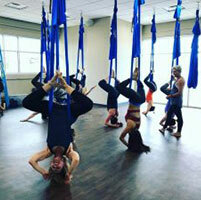 We also have an aerial yoga class as well as podBARRE, which we’re very excited about. These more unique classes will have a touch of yoga while also incorporating different fitness exercises such as focusing on isometric strength training and reps in a compact range of motion. Whether you’re new to yoga or you’ve been practicing for a number of years, each of these classes will offer you a little something different. Remember to bring a towel, water bottle, and your mat to thoroughly enjoy a workout that will leave you feeling rejuvenated. 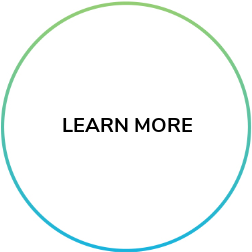 Beginners can start in podBASICS (less challenging), podFLOW 1, or podFIT and podHOT. 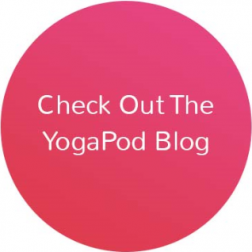 podBASICS: Are you new to yoga? Do you feel a little lost when you enter a yoga studio? As a novice to yoga, you’ll want to start from the ground up when it comes to your practice. This means that sometimes you’ll need to learn to walk before you can run and that’s exactly what podBASICS is to your practice. This class will help you understand the fundamental basics of yoga. We will explore a slower paced class by building a solid foundation, alignment, and a knowledge of postures. Each class will be different, but it will be centered around the sequences as well as specific postures that will help propel you toward podFLOW 1 and 2.
podFLOW 1: After you feel more comfortable in podBASICS, you’ll want to move up to podFLOW 1. podFLOW 1 builds on the yoga practice that you started to create in podBASICS. 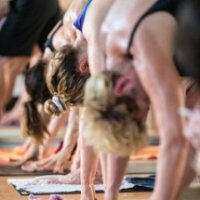 This class is centered around the traditional vinyasa yoga. You will learn how to synchronize your movement to your breath while tranquil music plays during the class. This class can be a physical challenge for some, which makes it a great class for any type of yogi to take. If you want to go back to basics and focus on building on simpler poses, then this class will provide you with a sequence that will leave you feeling in tune with your body. 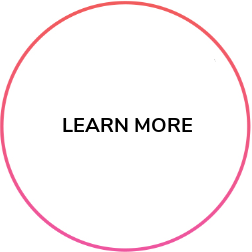 podFLOW 2: Once you’ve moved on from podFLOW 1, you’ll want to take our level 2 class. podFLOW 2 is an excellent way to really cement your practice and take what you learned in podBASICS and podFLOW 1 and apply it to more difficult challenges. This dynamic, challenging, and enjoyable class will help to progress your practice to something you feel more comfortable with. In addition, this class is heated at 95 degrees with 40 percent humidity. The teachers who teach the podFLOW 2 classes will bring a little more of a creative element and will make the sequence a little more diversified. YIN yoga may not be something you’re very familiar with because not all yoga studios incorporate it into the schedule. Yin yoga is a slower pace of yoga that is centered around holding the positions for longer than you’d normally hold it. While it sounds a little difficult, this type of yoga puts an emphasis on the connective tissue in the body as well as increasing the circulation in your body through your joints. It will also improve your flexibility and takes a more meditative approach to your practice. Aerial Yoga is something that every yogi should try because it’s so different than any regular practice. This type of yoga involves a yoga swing instead of an ordinary yoga mat. The class will combine dance, acrobatics, pilates, and yoga. It’s a fantastic workout because you’re using areas of your body that generally don’t get to see a lot of action. It’s also a very beneficial class for people who sit all day long or who have back pain because it centers around decompressing areas of your body due to the varying positions you can get into due to the yoga swing. podHOT: If you’d like to do some detoxifying, then podHOT is the right class to sign up to take. podHOT is a great class because of the strength you’ll build and the balance that you implement in your practice. This class also help with flexibility. Due to the heat in the room, which is about 105 degrees with 60 percent humidity, you’ll notice that your body reacts a lot differently than it normally would in cooler temperatures. podBARRE: The podBARRE yoga class centers around the exercise known as barre. Barre focuses on isometric movements that strengthen your entire body. This type of exercise will lengthen your muscles and make them more lean. The class is set to high-energy music that helps to push you through those difficult small movements and high reps. This class is designed to incorporate your yoga practice as well as sculpt your body by toning, strengthening, and moving your body to building on your muscles. podBARRE Express: Similar to podBARRE, podBARRE Express is actually an abbreviated version. Instead of doing the entire class, you’ll be able to get the full workout you want within 45 minutes. This class is perfect for those who don’t have enough time to go to a full podBARRE class, but do want to get in some core-centric practice sculpts and strengthening in the arms, thighs, seat, and abdominals. The podBARRE Express class will help to gain core-stability and tone different parts of the body to create long and lean muscles. It’s also very complementary to yoga. podFIT: If you’re looking for a fun and a difficult fitness-based class, then podFIT is the right regimen for you. podFIT is done to high-energy and fun music that will keep you moving during the entire class. It is a full body focused class that is very active. It will engage your core and work all of your major muscle groups to strengthen your body and increase stability. If you want some cardio in your workout, then podFIT will focus on that as well as resistance training and body weight. The class will begin with a warm up and the end of the class will have gentle stretching and a cool down. Yoga isn’t just about relaxing your mind after a stressful day or beginning your morning off right with an energizing sequence. Yoga has many advantages, especially when you participate in it regularly. Not only will you tone your muscles and bring peace of mind to quiet the daily stresses in your life, it can also help with weight loss, breathing better, increased flexibility, and more. In addition, if you’re new to yoga, practice will help you perfect your poses. If you go to one class and you feel like you’re not getting that much out of it for fitness, then don’t give up! Continue going because you’re not going to see changes in just a few classes. Getting fit and seeing positive changes takes time. Yoga will also help to improve your overall posture. Sitting at a desk all day can damage your posture or even standing for long hours can cause discomfort. By participating in yoga regularly, you’ll loosen up your shoulders and your neck. It will also help to align and straighten your body, so you don’t feel so tight and uncomfortable while sitting or standing all day. A regular yoga practice in your life will do a lot for your body, spirit, and mind. Overall, it will help to keep sicknesses away, enhance your health, and it will heal any aches and pains through your body. It also helps with motivation because you’re holding poses for several breathes and pushing yourself to your most challenging point both physically and mentally. What’s neat about yoga is that it transpires into your personal life as well. When you have a particularly difficult work assignment or something is going on in your personal life, you can remind yourself that yoga will help to keep you centered and you can get through those difficult moments because you’ve gotten through those difficult poses. Yoga can affect the mind by helping with anxiety and depression. Taking care of your mental health is very important. If you don’t address the stress in your life or the general dissatisfaction, then you could begin to see physical effects on your health such as a lowered immune system or stomachaches. Yoga is a great way to help stabilize your anxiety and depression. Yoga will improve the overall mental health as well as your psychological well-being. When those negative feelings or overthinking begins to rear its head, yoga can help to set aside those unwanted feelings and focus on more positive attributes. When it comes to the spirit, yoga can improve moods, find inner peace, and allow us to cope with the hardships in a positive way. Life is hard. There’s no doubt about it, but when you have a means to cope with your most difficult moments, then you’ll feel much more calm for whatever life throws at you. Learning to cope with hardships by staying calm and remembering to enjoy the present moment will help you to find an inner peace that will help your spirit. Yoga Pod Lowry is different than other yoga studios in the area for a few reasons. We have a set of values at Yoga Pod Lowry that have to do with creating a sustainable yoga practice and intentions by breathing, sweating, and strengthening our body, spirit, and mind. Our values are focused around doing the right thing and honoring nature by cultivating discipline and creating a community of yogis who will feel at one with their practice. When you come to our studio, we’ll be sure to show you around and welcome you to our community. Our classes are great for all levels and if you need to incorporate cardio, then we can meet your needs. The science of Yoga Pod is to ensure that each person who comes to us can move toward to create a flow that enhances physical and mental skills to overcome new challenges on whatever path you may be on. Our teacher training workshops are 200-hour long ones and will help to expand a students knowledge and understanding about alignment, applied anatomy, yogic history, and philosophy. It will also help to practice teaching skills and creating an energy in the body to motivate other students to enjoy yoga and push their limits. Our teaching training program will help a student gain more perspective on classic and modern worlds of yoga. It will also help you to qualify for the Yoga Alliance’s 200-hour registration. When you come to our teacher training, you’ll broaden your potential, learn to teach, and empower yourself for your future. Now, you know all about us! We’d love to know more about you and your love of yoga. Stop into Yoga Pod Lowry to take a class, or start your membership. We offer a month of unlimited yoga classes for only $30. Try “$30 for 30 Days” now!